Ljubljana's quintessential Irish pub is popular with locals, expats and tourists alike, and over the years we've personally spent many a night entertaining visitors, watching sports on the big screen and generally drinking too much here. They've got a huge selection of beer, with some 90 varieties to choose from, and often host events such as live Irish music concerts, pub quizzes and beer tastings. Find it down a small cobbled alleyway just off Trubarjeva Ulica. Open 17:00-01:00, Mon, Sun 17:00-24:00. 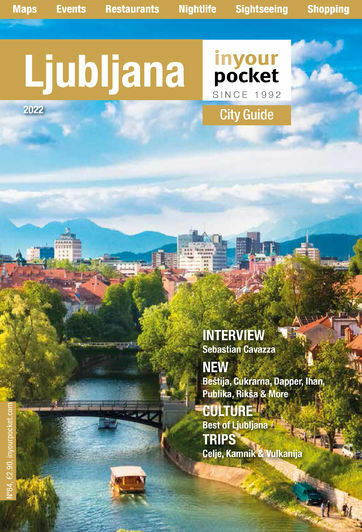 I spent a month in Ljubljana in 2011 and went there probably three or four times a week - it&#039;s a great place, the staff are awesome, the music is fun, the beer is good, when the weather&#039;s nice you can also sit outside - there&#039;s nothing not to like! The best Pub in Ljubljana, period. Actually the only real pub, with real pub snacks and great selection of beers.. By far the best and the biggest beer list in Slovenia, with some really fine American beers, English Ales and seasonal beers (like Winter Ale at this moment).. The draft beers are also always very good. Nice bartenders as well, with good knowlidge of beers.. On top of that, there is live (mostly Irish) music every Thursday.. Like i said, top notch Pub!